PSA has been trimming its French workforce under CEO Carlos Tavares. PARIS -- PSA Group said it has won the backing of several unions for plans to eliminate 1,300 jobs using a new form of voluntary cuts introduced by President Emmanuel Macron. Five out of the automaker's six unions approved the job cuts, which are balanced by an identical number of new permanent hires, PSA said in a statement. The departures, roughly equivalent to buyouts, are part of 2,200 voluntary job cuts planned this year, the CFTC union said previously. PSA, which has been trimming its French workforce under CEO Carlos Tavares, is among a first handful of companies to use the new flexible labor measures introduced within months of Macron's election last May. The planned cuts were approved by the CFDT, CFE/CGC, CFTC, FO and GSEA unions. The leftwing CGT refused to lend its support for what it described as "this latest redundancy plan." 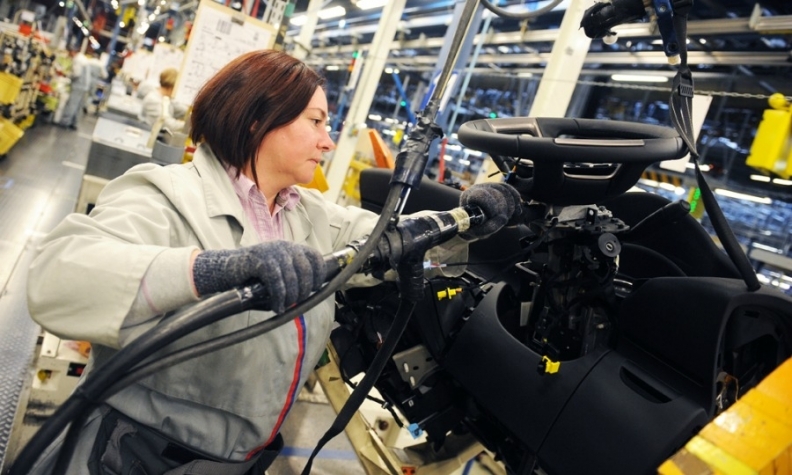 PSA CEO Carlos Tavares has said he plans to meet next week with UK unions and government officials to discuss the future of the automaker's Vauxhall plant in Ellesmere Port, where the CEO said production costs are twice those of its plants in France. Earlier this month, PSA said it will cut 250 more jobs in Ellesmere Port on top of around 400 cuts announced last year, reducing the plant's output to one shift.